UK - Liverpool based Adlib has designed and delivered an L-Acoustics KARA audio system with Midas control to Lincoln’s premier live performance venue, the 1600 capacity Engine Shed. The venue is on the campus of Lincoln University and is the city’s busiest live entertainment space, featuring a lively mix of music, comedy, club nights and conferences. This latest Adlib installation is one of a series of highly successful projects delivered by the company to leading student managed venues around the country. Engine Shed engineers first came into contact with Adlib through the various training programmes available at their Liverpool HQ. The company has also gained a good reputation for designing excellent sounding, rider-friendly systems for a number high profile similar venues in the last two years including at Leeds and Leicester Universities and Manchester and Sheffield Academies. 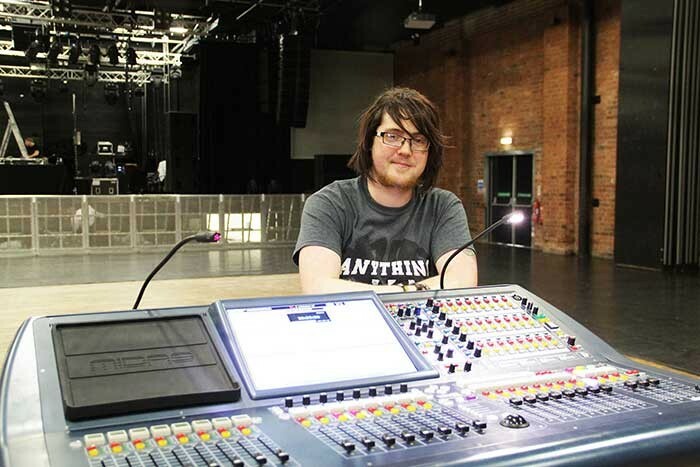 When the in-house production facilities at the Engine Shed were due an upgrade, Adlib won a competitive tender to secure the project, which was managed for them by John Hughes, working closely with Lincoln University’s then Technical Manager, Matt Benton. "KARA was our line array system of choice," explains Hughes, adding that it followed from several other great KARA reference systems they have installed including the solution for the Cambridge Corn Exchange. The primary reasons KARA was picked was because they needed a robust, dynamic and solid sounding PA that fitted touring standard specs and was versatile enough to deal with a broad range of performance, shows and events. The main left and right hangs comprise nine flown KARA speakers a side together with three flown SB18 subs, plus four SB28 subs which are ground-stacked each side. Two L-Acoustics ARCS Focus and two ARCS Wide speakers are utilised for delays together with two additional ARCS Focus’s for centre fills. The system is powered by seven proprietary LA8 amps. 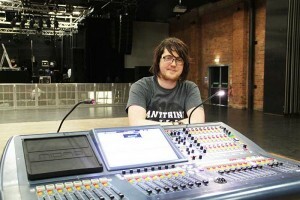 The same logic – of providing a rugged, top quality product to satisfy touring artists and make the venue self-sufficient from needing extra sub-hires - was applied to choosing the mixing console, which is a Midas PRO2, complete with a DL-251 stage box adding 48 inputs and 16 outputs to the standard PRO2 I/O. After consultation with the venue on lighting requirements, Adlib also specified a cost-efficient basic lighting package comprising 16 Chauvet COLORado Batten 72 LED battens and eight Pro-Can 2 Lite blinders to provide general stage washes for music shows or conference scenarios. Two Martin Atomic strobes and two Martin Magnum 2500 hazers were also supplied for effects and to enhance the vibes for club nights and music shows. An important part of winning the tender initially was Adlib’s excellent product training and commitment to after-sales support of the new equipment. The house audio crew all received training from Adlib on how to work and maintain the KARA system and all its rigging components, along with operation of the LA Network Manager software. Two sets of training sessions were included in the project package – one at Adlib’s HQ in Speke, Liverpool and the other on-site at the Engine Shed. These were augmented with a specialist one-day session at Midas UK in Kidderminster. Adlib engineer Alan Harrison supervised the first run of shows with the new system to ensure the hand-over transition was slick, smooth and stress free. Matt Benton comments: "The overall level of service and support we received through what was a protracted and demanding process was excellent. Every member of Adlib staff involved in the implementation of our new system has been a pleasure to work with, and the continuing after-sales support has proven invaluable."